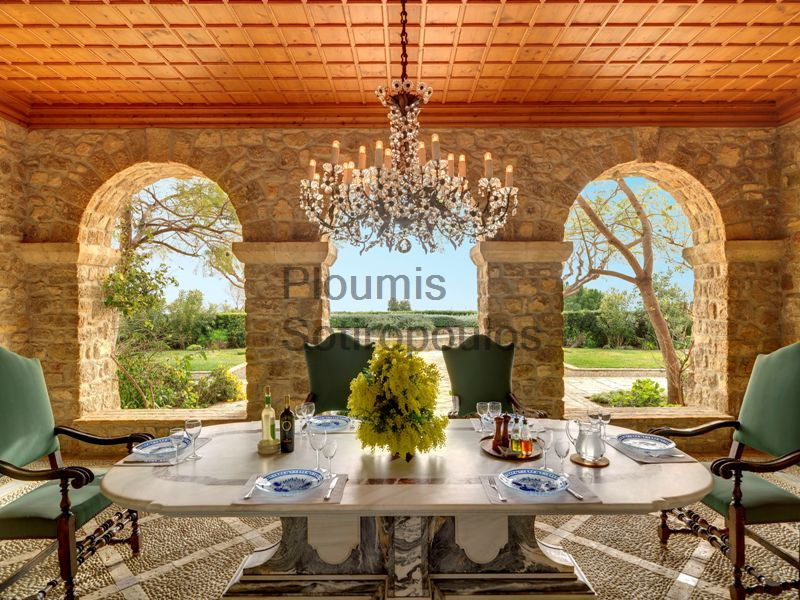 Perched on a hill on the outskirts of Athens, this spectacular estate enjoys commanding views over the surrounding countryside. The elaborate stone structure of 1.300m² was hand-built with attention to every detail and with architecture reminiscent of French Provence. The villa features beautiful reception and dining areas with numerous fireplaces and large windows which fill the interior with light. 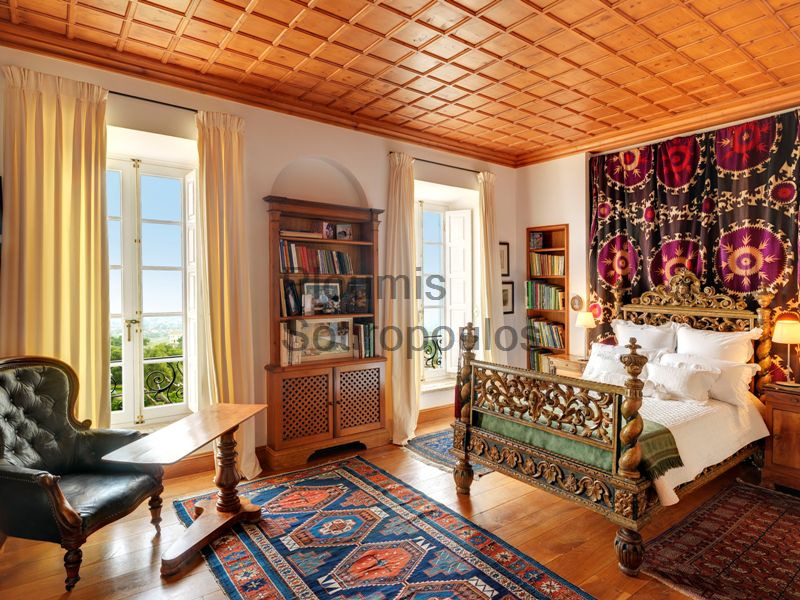 Additional rooms include eight bedrooms with ensuite bathrooms, a professionally-equipped kitchen with a fireplace and an antique-style oven, three staff rooms, a gymnasium, a sauna, a parking garage for six cars, and many auxiliary rooms. Every room and corner in the house exudes style, elegance and atmosphere. An independent gardener’s cottage of 65m² contains two bedrooms, a living room and a kitchen. 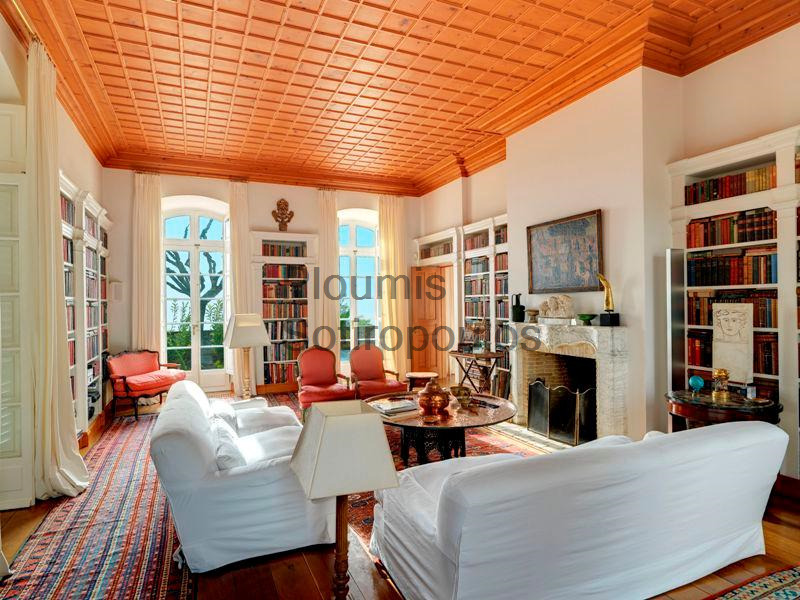 Also set in the grounds are a church of 66m², a tennis court, a swimming pool and a horse stable. The estate is embellished with lush gardens of 35.000m² which are landscaped and manicured to a standard rarely seen today. Stone paths lead to various hidden resting places, where water fountains and sculptures provide elements of beauty. 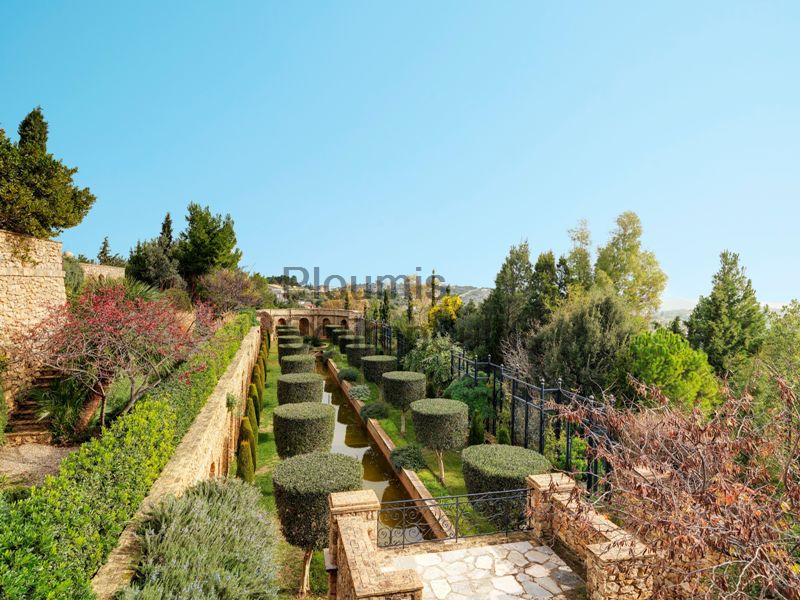 These gardens which playfully surround the extraordinary residence are very similar to the grounds of French chateaux. 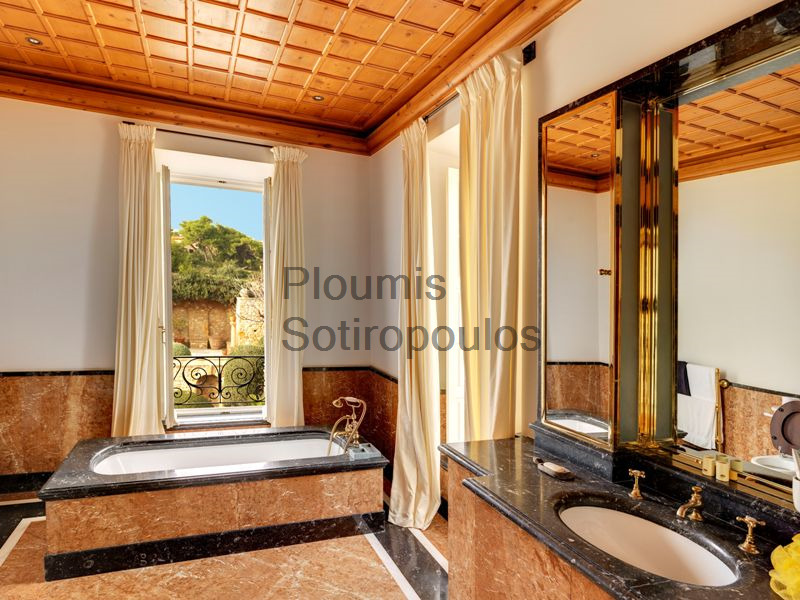 Only half an hour from the center of Athens, this is a dream estate which took years of work and imagination to create.